New online shipping application DHL Parcel live! One Shoe paid attention to the User Experience (UX) and front-end development of the application. Do you want to make your package ready for shipping in an easy and fast manner? Now this is possible with the new online shipping application of DHL Parcel. One Shoe paid attention to the User Experience (UX) and front-end development of the application. 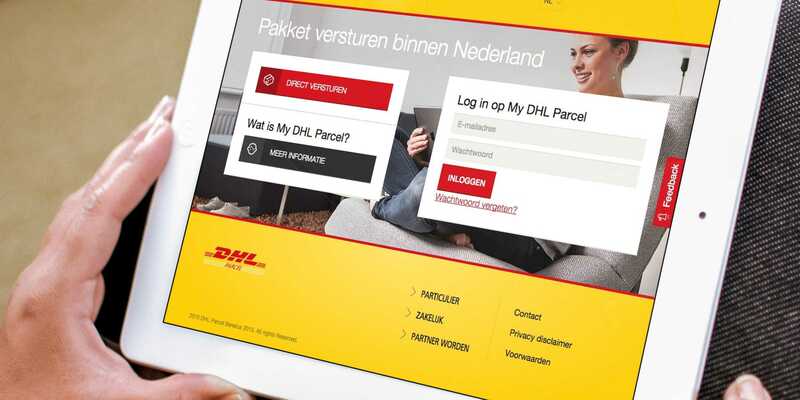 One Shoe and DHL Parcel want to make the user of dhlparcel.nl as easy as possible: we have paid close attention to a intuitive interface, clear content and customer centered design in the development of the shipping application. In a few steps, a shipment can be registered, a label can be created and the user can pay online in a safe and secure way. The application also works on tablet and smartphone. The famous track & trace options also remains available in the new application. The new shipping application is for sending parcels within the Benelux. International shipments are of course also possible. This shipping application will be renewed next year.